How could such a marvelous place be the gateway to the country of most typhoons brewing in the Pacific? This irony was playing in my mind when I arrived in Virac, Catanduanes, the land of the howling winds. It welcomed me with a bright sunny weather, an endless blue sky and lush green mountains and hills while most parts of the Philippines were experiencing a downpour. My visit was perfect! 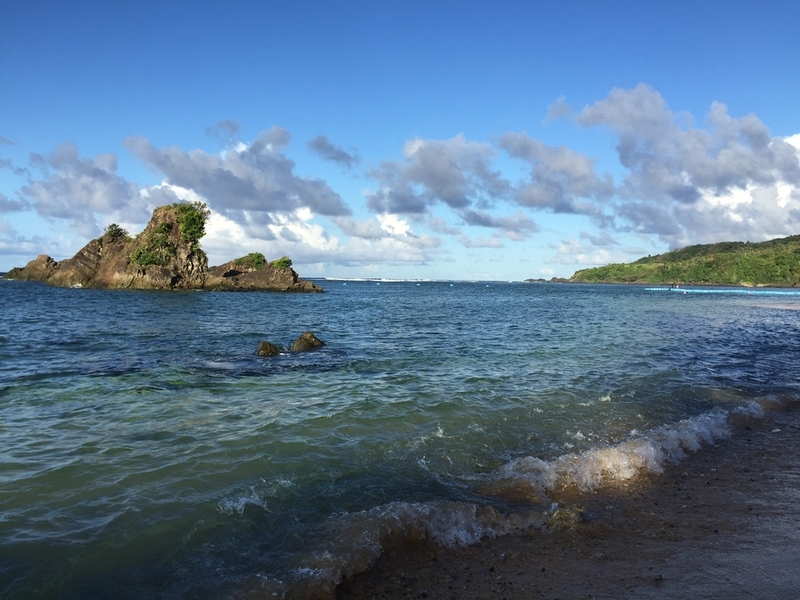 The dry season in Catanduanes lingers from March until August. Given that it’s always raining in this part of the country, Catanduanes’ greenery is without a doubt more vivid compared with that of other islands I visited. 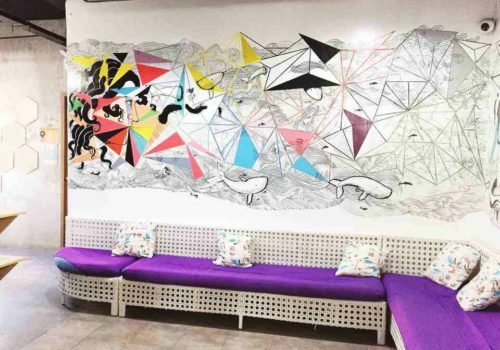 My host during my 3-day, 2-night stay was Alon Surf Stay, which offered a roundtrip airport transfer with a side trip to some tourist spots for only PhP3,000. Who would say no to that if your service is a Montero Sport? 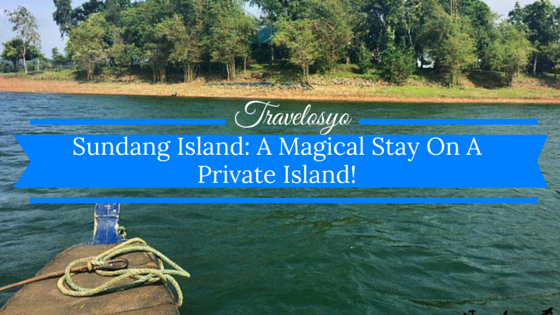 If you want to check out my Catanduanes Travel Guide, click HERE! 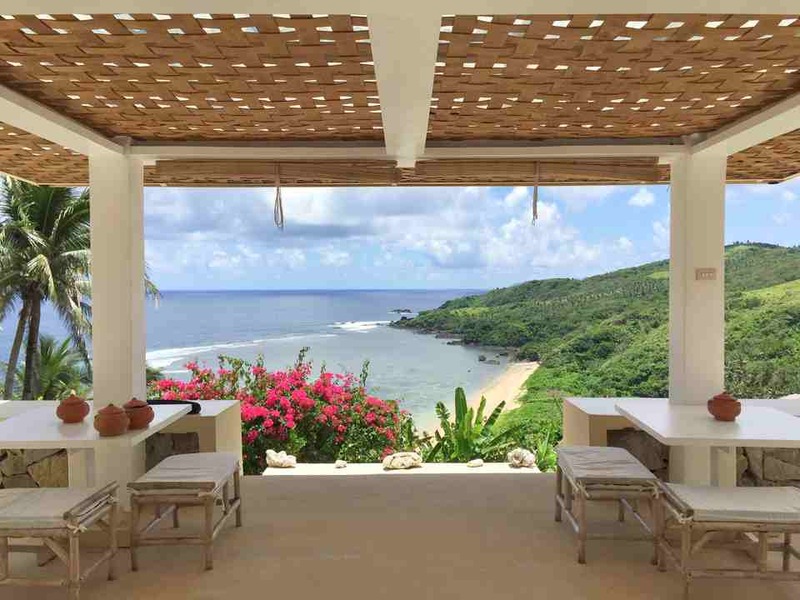 Alon Surf Stay is a white 3-story building nestled on top of a hill, overlooking the Pacific ocean. It’s the most outstanding accommodation I could think of in the area. From there, you could also see green hills and vast rice fields. It is located in Brgy. Puraran where you can find the famous Puraran Beach, the bringer of fierce waves from the Pacific. Waves would roll in and white foam would fringe. Wave riders find them as surfers’ haven especially during the peak months from August through September. It’s also a perfect spot for beach bummers looking for a wide shoreline and uncrowded beach areas. The fine cream sand and clear waters are more than enough to seduce you to put on your swimwear, take a dip and enjoy the waves yourself. 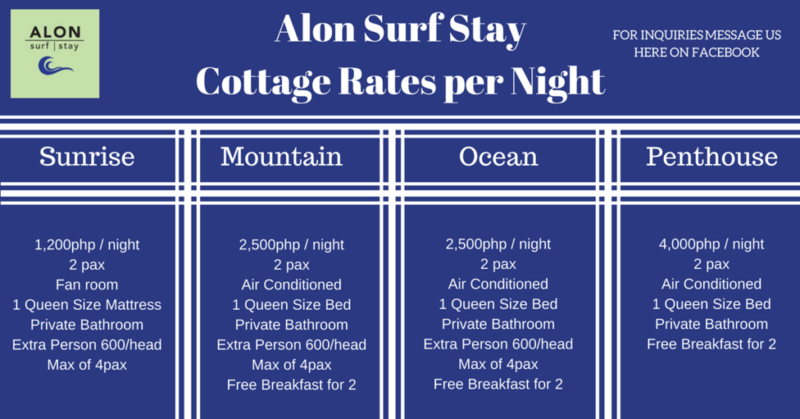 Alon Surf Stay is perfect for a small group of family or friends. 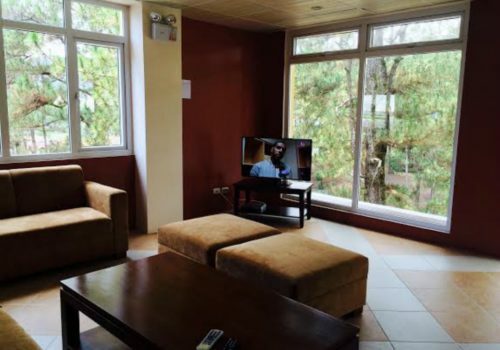 It has three air-conditioned rooms and 1 fan room. 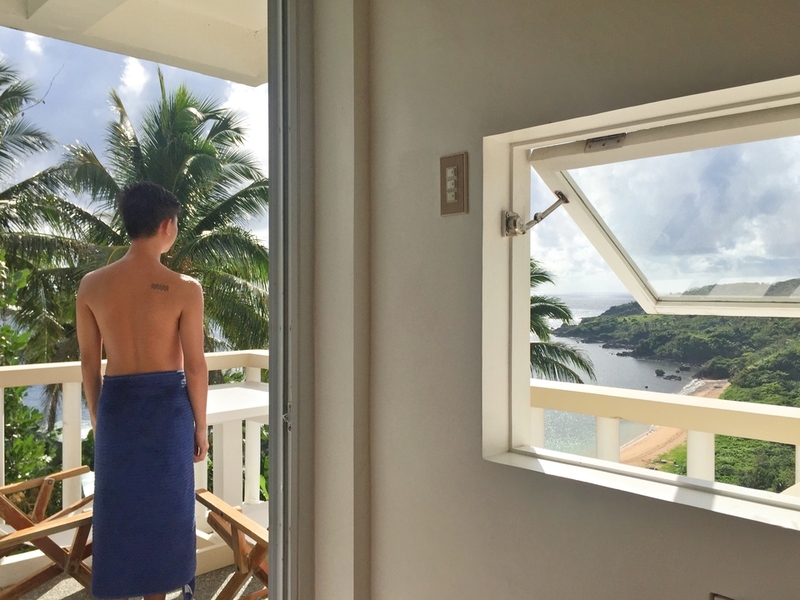 The view from the cabana is the perfect spot to be in Baras. Imagine a wide vista- the blue sky, slow-moving fluffy clouds, the sunrise, the sunset and the bright moon joined by thousands of twinkling stars. If the surrounding is silent, you will hear the sound of the waves. 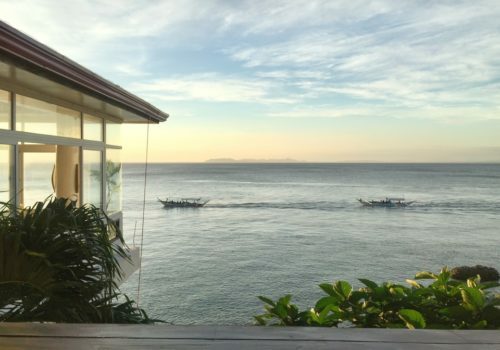 I got their Ocean Room for only PhP2,500 per night with breakfast for two. The room is on the second floor. 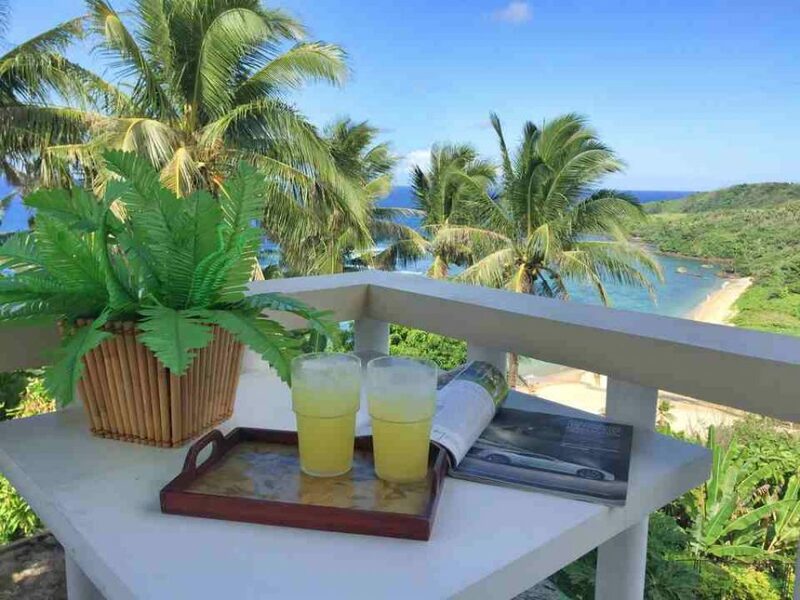 It has a private balcony where you can indulge in the amazing view of the ocean. It’s simply priceless. It had the basic things I needed: an AC unit, a comfortable queen size bed, hot and cold shower. Forget about the TV and strong Wi-Fi connection. Every vacation should be a commune with nature and a little disconnection from the social world. The room was clean and spacious. It can fit a maximum of 4 guests provided that there’s an extra mattress. I love that the place is a little secluded, away from other resorts or the residential area. 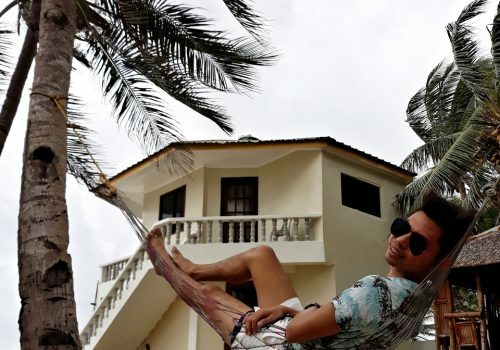 I got good sleep and a more private, relaxing vacation. Every night, I would sit on a chair on the balcony and watch the stars while listening to the soft sound of waves hitting the shore. Those were my favorite moments. I felt relaxed. The cacophony around the place would dissolve at 8 pm, so I really had a peaceful sleep. The next morning, I would get up and watch the sunrise. 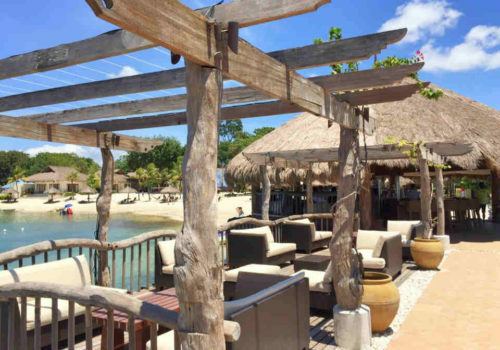 Alon Surf Stay is also ideal for couples looking for a romantic and private vacation. 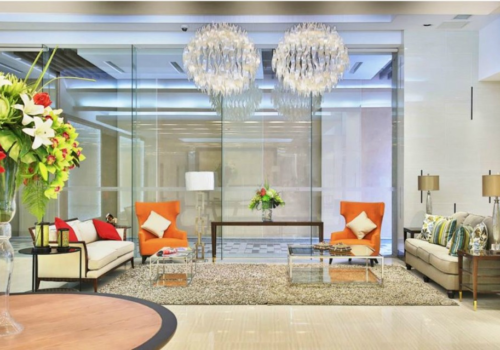 If you inquire early, there’s a high chance that you can rent out the whole place for an exclusive stay. Aside from the ravishing view from the Cabana, my stay wouldn’t be complete without their food. Jhen cooked really good food. They serve fresh and delicious meals. I even had the best fried blue marlin I ever tasted. When you’re at Alon Surf, never forget to request for lobster and fried chicken. The place has its own restaurant called “Kaon” where you can order breakfast, lunch, snacks, and dinner. The price is affordable, ranging from PhP150-350 per meal. They also serve beers if you feel like drinking. In the afternoon, while waiting for the sun to set after your tour, taking a dip in the infinity pool with warm and fresh water is the best thing to do. 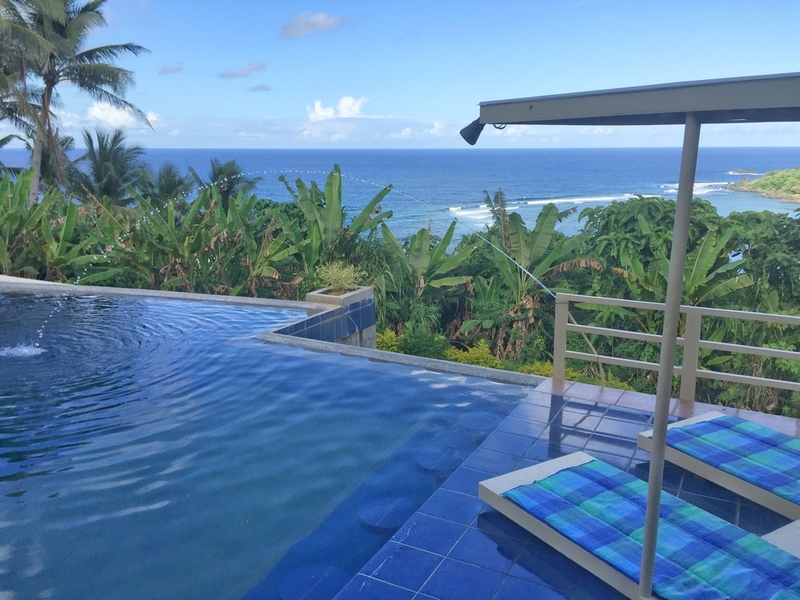 Alon Surf Stay is the only resort in Baras that has an infinity pool with this incredible view. They also offer a tour to the famous Binurong Point. Take advantage of it, as they offer it for a reasonable price of PhP1,000. It’s only a few bucks pricier than taking habal-habal or tricycle. Alon Surf offers the tour on a Montero Sport. 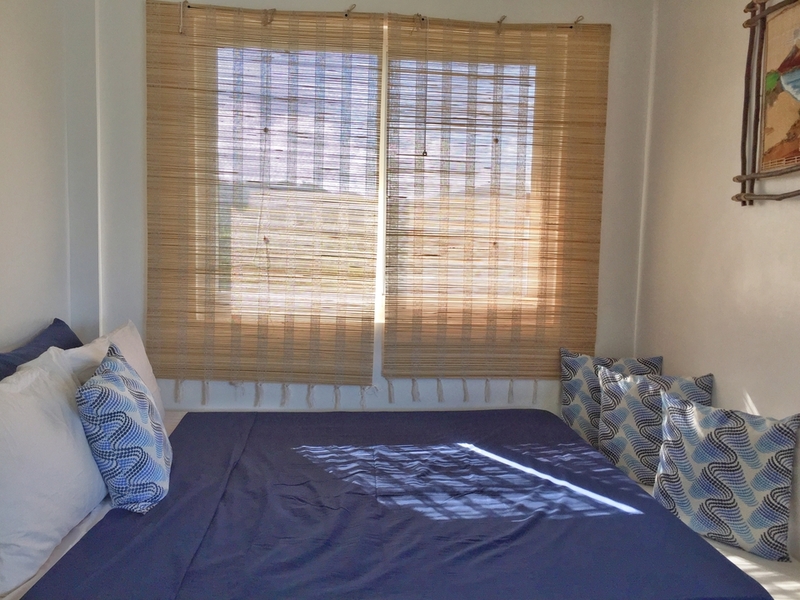 Choosing Alon Surf Stay was just the icing on the cake that is my Catanduanes Tour. My stay here made things even better. The hospitality of Sir Joel, Jhen, and Carlo plus their cute kids Clea and Ruppa made my stay extra special. The view from my room was astonishing and the food was delicious. 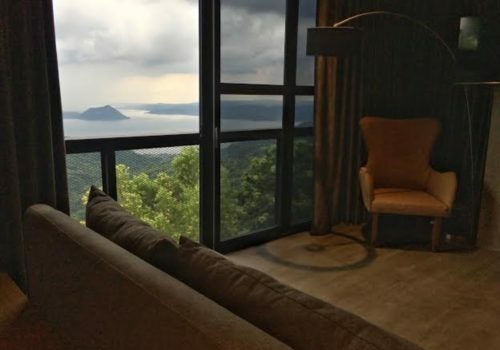 I don’t need to visit all the resorts in Catanduanes to conclude that this is the best place to stay. They have an unbeatable view that no other place could offer. For booking inquiries, you can message them on Facebook. or call them at 0919-972-6022.